Since 2004, Lotus Caravans has been redefining the world of off-road caravanning, delivering cutting-edge technology and innovative designs while taking luxury and style to unparalleled new levels. 15 years later and Lotus Caravans’ exceptional workmanship and outstanding attention to detail have earned the brand a reputation of excellence which is unrivalled in the caravan industry. With our new slogan, ‘Conquer your path,’ we are challenging customers to explore more of Australia and push the limits of what’s possible in their new Lotus Caravan. 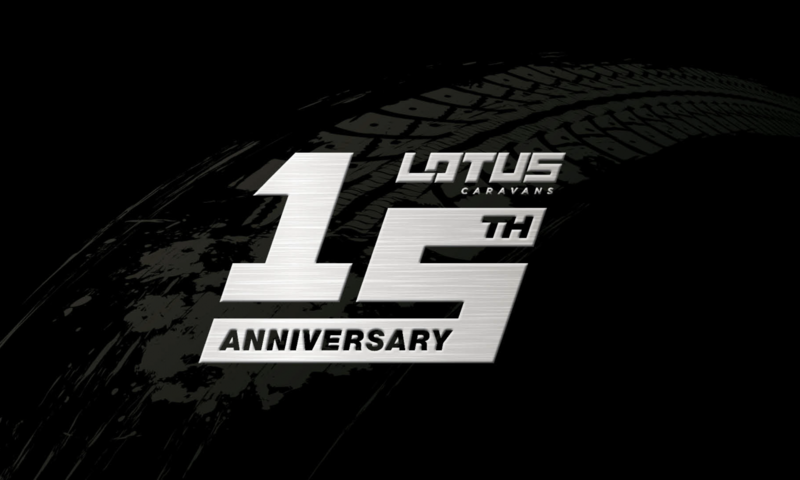 This is an exciting time for Lotus Caravans as we look to continue reshaping the world of off-road caravanning for another 15 years. See the new Lotus Caravans 15th anniversary range in action today.